Day one of Mobile World Congress saw visitors transported into a world of virtual reality, as the big guns began the battle for VR dominance. MediaCom's global head of mobile explains. In the main halls of 2016 Mobile World Congress, Mark Zuckerberg, the chief executive of Facebook, opened the show to a packed audience of delegates wearing Oculus Rift headsets and experiencing the thrills of a giant roller coaster. Elsewhere, visitors were offered a virtual ski-jumping experience, letting them feel what it really might be like to appear on Channel 4’s The Jump. Some of those who accepted the challenge came out of the experience feeling physically sick – but at least there were no broken bones. The battle for dominance of the virtual reality world has begun and Facebook, the must-have app for a billion phones, will be taking on a range of handset and consumer electronics manufacturers. It’s a contest that will make the world of mobile an even more complex web of competing and co-operating companies. One area of mutual benefit is in the launch of 360-degree cameras. Devices such as Samsung’s Gear 360 and LG’s 360 Cam allow consumers to access Go Pro-style imagery in near 4K quality. They allow us to experience panoramic vistas, memorable holiday moments, and even enable estate agents to provide more in-depth perspectives of the houses they’re trying to sell. Perhaps more critically, however, 360-degree cameras offer a route to content creation for virtual reality headsets. It’s not just about the experiences you buy but also about the experiences you and your friends create. In Barcelona, I would be able to take a film of the Sagrada Familia Basilica, and then you could download it to your new Oculus Rift and experience the same awe of the majesty of the city’s iconic symbol. 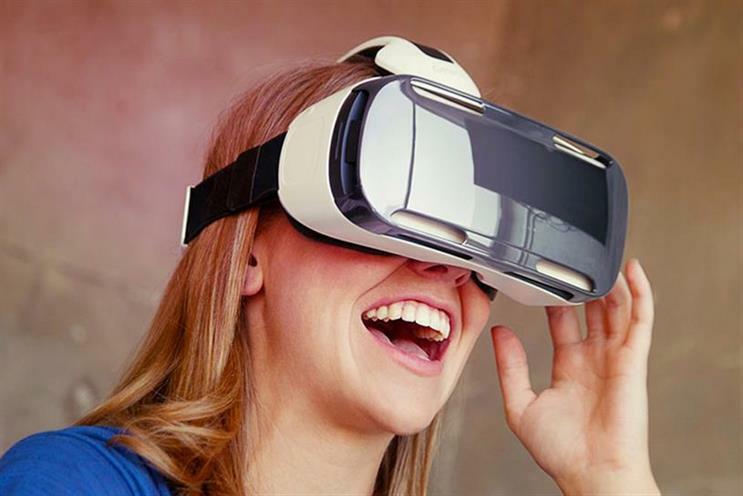 This year’s MWC is, however, also about much more than just virtual reality goggles that make marketing execs look like drones from The Matrix; it’s also about our wider vision of the mobile device and experience. MediaCom client Sony has been thinking big about the mobile opportunity well beyond the handset market. It launched four new concept devices that demonstrated how the mobile future may not actually require us to spend more time staring at our screens. They communicate via sound and touch. Xperia Ear, for example, is a Mission Impossible-style, ear piece-sized personal assistant, while Xperia Agent is akin to Amazon’s Echo, recognising your face, telling you about your day, and giving you traffic updates before you head to work. Xperia Eye can be worn as a lanyard and take almost constant film and video to ensure that the best shots are always captured, recognising familiar faces and only taking images when people smile. It’s another autonomous device that frees up consumers to enjoy the moment in real time, as well as giving them the power to relive it in the best possible way afterwards. What all these developments have in common is the need for great creativity and storage. Whether you are taking high quality film, 360-degree images or accessing traffic data in real time, what you need is great storage capacity and a network that can share such data (hence all the talk of 5G). LG’s new G5 showcased one solution to this conundrum: a modular phone that gives consumers who have heavy data requirements the option to upgrade relevant elements of their handset to match their needs. It seems manufacturers may need to model themselves on the new anti-Brexit EU, developing a multispeed handset that can adapt to the demands of 28 different consumer groups through modular opt-outs and opt-ins if they want to create the perfect community of users for everyone. Day one of MWC16 gave us a lot of food for thought – and virtual reality to experience. We’re looking forward to day two.